Black nurses should be supported to rise to senior mental health positions to help address racial disparity in the field, according to independent reviewers. The panel made 154 recommendations after examining the 1983 Mental Health Act, which the government is planning to revise. 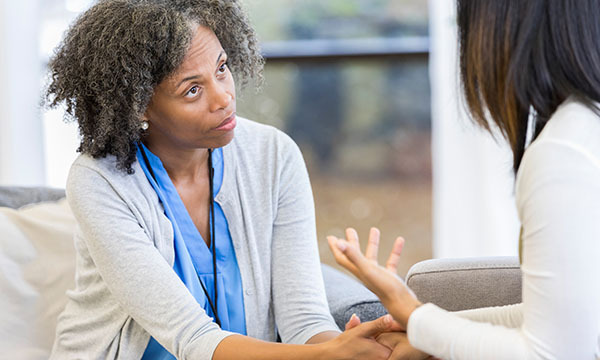 The review, chaired by former president of the Royal College of Psychiatrists Simon Wessely, says more should be done to encourage people of African and Caribbean heritage to reach senior levels in mental health, particularly in nursing and management. RCN London operational manager Mark Farmer, who has spoken about racism blighting the careers of nurses in the capital, said: 'Nurses from black and minority ethnic (BME) backgrounds reading this report will probably recognise a similar type of structural discrimination that also makes them more likely to be disciplined in work and less likely to achieve a promotion. RCN mental health professional lead Catherine Gamble said nurses would be disappointed with the report's lack of scope. ‘Nurses had hoped this report would empower clinicians and allied health professionals to act more autonomously, reduce barriers to seamless service and prove to nurses they’re valued. NHS workforce data indicate there are 8,514 mental health nursing vacancies in England, equivalent to a 12.9% vacancy rate. Allowing those detained under the act to nominate a person to be involved in their care – at present, the patient has no input in the decision. Giving patients the right to express their preferences for care and treatment and have these listed in statutory ‘advance choice’ documents. The government intends to respond to the review in the new year, before preparing a new Mental Health Bill.